For One Another has run several clean water and health projects in Haiti, in partnership with Iniciativas De Paz, Relief Team One, and Operation Unisson to make a difference in the lives of Haitian children and communities. After the 2010 earthquake, RT1 built an orphanage in Haiti for ninety children, most of whom lost both parents to either the earthquake or the following cholera epidemics. For One Another provided a water filtration system for this orphanage, ensuring that the children will receive clean water. The system not only purifies contaminated water but also processes at a rate of up to 5000 gallons of safe, clean drinking water every 24 hours. 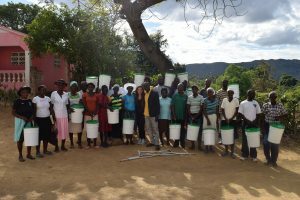 An FOA team was able to support and see the installation, and RT1 trained community members to maintain the water system and the well. The water source also allowed the orphanage to have more sustainability, by selling bottled water to promote independence from outside aid. 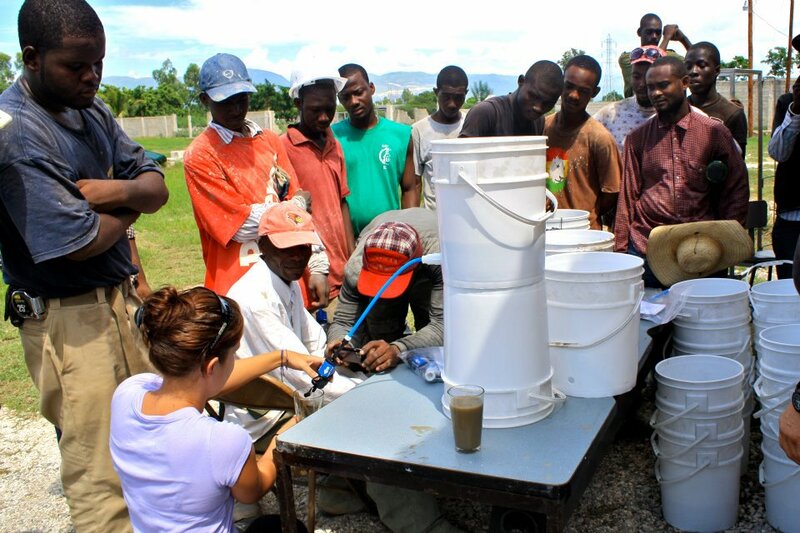 During this same trip, For One Another provided 35 water filters to families in Port-au-Prince for their homes. An additional orphanage with 51 children was also provided with a water filtration system from FOA. 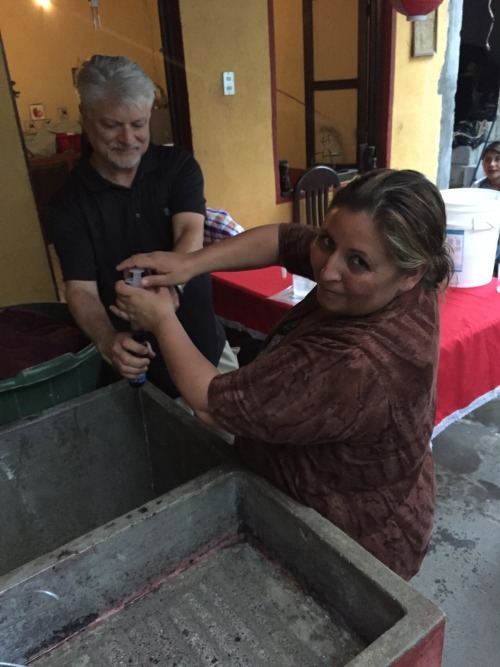 The families and staff were trained on how to use and clean the filters for long term usage. In partnership with Iniciativas De Paz- a Puerto Rican nonprofit organization- For One Another volunteers worked in mobile medical clinics, serving thousands of people who needed medical attention ranging from bandaids and vitamins to lifesaving operations. In January 2018, For One Another, in partnership with Operation Unisson, installed 20 water filters in the remote rural community of Pincroix, providing the community with their first source of clean water in more than 60 years!